Tom Fowdy in Editor's Picks World Affairs on 22 May, 2016. One impact of a Donald Trump Presidency: a new direction in US strategy on the Korean Peninsula? The North Korean regime’s pathway to nuclear proliferation has been a headache for the international community. A host of methods, including engagement, strategic patience and now three rounds of United Nations sanctions, without mentioning means of external pressure have all failed to deter the hermit kingdom’s rise to becoming a nuclear armed state, with future tests widely anticipated as a given. The United States has long took the initiative in attempting to resolve the North Korean nuclear issue; with a consistent stance that Pyongyang’s proliferation is simply a non-option, period. But now, with the Obama administration reaching its dusk and a new presidency looming, the United States’s North Korea policy could be about to be thrown out the window by the man who is known well for having little regard for established standards, manner and rules of play, Donald Trump. The New York tycoon has vowed to meet “face to face with Kim Jong Un” if elected President in November to resolve the North Korean question. However, as with all things Donald proposes, the potential outcomes carry significant anxieties for the future. This issue is no different. A Trump presidency could easily disintegrate decades of American foreign policy commitment to the Korean peninsula, alienate the South and yield deeply uncertain outcomes and side effects for the entire international community. Indeed, the businessman’s proposals are ones which could prove to be Kim Jong Un’s very own “Trump Card”. The root of the North Korean nuclear program lies in several factors, firstly in securing regime survival against a hostile international order and the United States, secondly acting as a diplomatic tool to give the regime a stronger hand in getting what it wants and thirdly, offering a sense of prestige and achievement for a very backwards nation to strengthen the domestic legitimacy of its leadership. Despite its provocative rhetoric, North Korea has not proliferated to incite or start a nuclear war; it has no regional or global ambitions. It seeks first and foremost its own security, which is perceived to be continually under threat. Its program has been a direct reaction to a series of U.S foreign policy decisions which have continually intervened in and removed various regimes from power since the post-Cold War Era began. In North Korea, this plays on the background of the long lasting legacies of Japanese occupation and the division of Korea. The United States does not recognize the North Korean regime, conditioning its leadership to place sovereignty as its ultimate priority and normative value in its conducting of international relations. Thus, North Korea has pursued a nuclear weapons program for the means of cementing its sovereignty, forcing it to be took seriously by its enemies as well as giving its depleted population something to take pride in, substituting a lack of effort towards poor economic conditions. Resultantly, the regime rules this program as non-negotiable; the regime’s official ideology and philosophy “Juche” (or self-reliance) is about “man shaping his own destiny”. North Korea does not conform willingly to the international system, but rather believes in struggling against it as a “truly sovereign nation” to get what it wants purely on its own terms and nobody else’s, manipulating other actors to its own benefit. Negotiating with the country thus becomes an incredibly difficult task and if the ball is in Pyongyang’s court, it will not cooperate unless there are massive concessions involved which work purely to their own benefit. The inter-Korean summit in 2000, where South Korean President Kim Dae Jung travelled to North Korea and met Kim Jong Il, did not happen without Pyongyang first demanding an illicit $200 million payment for it (which they got). 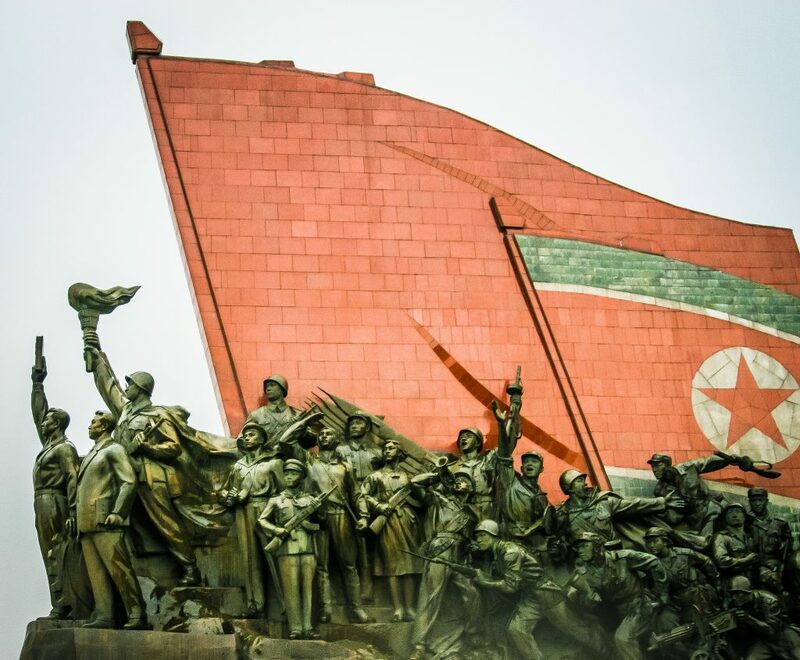 The North Korean regime likes to take, rather than to give, just as Kim Il-Sung manipulated aid from both China and the Soviet Union to take a neutral stance in their hostile relationship during the Sino-Soviet Split. Resultantly, in this frame of mind, whilst North Korea may have its own genuine security concerns regarding the United States, it has little regards for the security concerns which may arise from its own behaviour, namely those in South Korea; which could logically never accept a nuclear armed northern neighbour. Now, whilst North Korea does want to negotiate and normalize relations with both South Korea and the United States, as well as seeking a formal ending to the Korean War, it truly expects they should simply accept its nuclear program as part of the package. Donald Trump is now uncontested in the Republican Party primary contest, but his foreign policy knowledge has been called into question more than once. 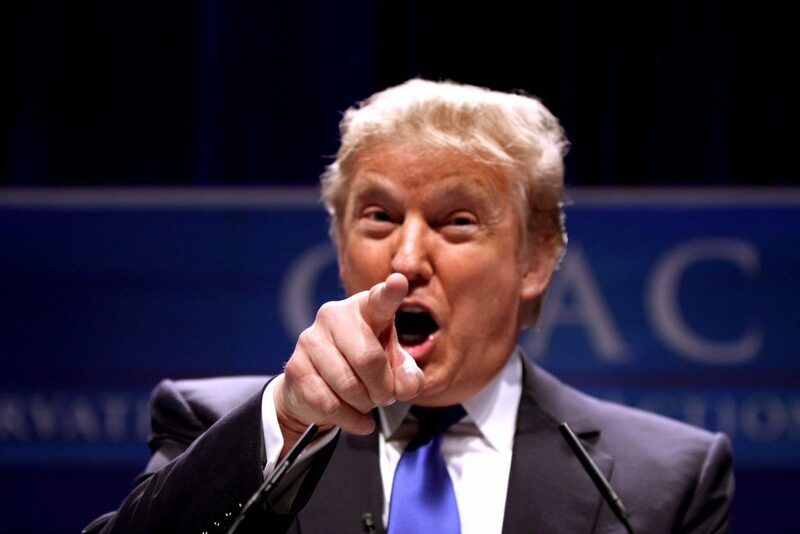 Then, along came Trump… a man who simply sweeps aside established norms, conventions and procedures with relative ease and seeming indestructibility. His foreign policies, barring the infamous “Wall”, are less outrageous than his domestic proposals, but are certainly not a particle less erratic or ill thought through. When Obama held a key international security summit in Washington hosting the leaders of China, Japan and South Korea, he made a mocking reference to someone who “knew nothing about the world” and foreign affairs. Even without naming them, it was not hard to guess. Although Trump’s foreign policy is often caricatured as being incredibly aggressive and belligerent (matching his personality), not to mention inconsistent, it is in fact incredibly non-interventionist for a Republican politician. He notably denounced the legacy of the Iraq War to attack Jeb Bush, something which drew Conservative commentators to attack him as “Michael Moore”. Since then, he has developed a foreign policy tagline famously described as, “America First”, outlining that other countries must pay the U.S tribute for military protection. Going back to the Korean issue, such a policy would instantly affect South Korea, whom has been a security client of the U.S since the Korean War, hosting 23,000 American troops and for decades was even under American operational command. Overnight, a Trump presidency could effectively unravel the balance of power on the Korean peninsula and put Pyongyang in the driving seat, easily exploiting his lack of knowledge on Korean affairs. Donald Trump meeting Kim Jong Un whilst withdrawing American forces from the South would send a damning political message to Seoul and jeopardize its position instantly, it would act as a serial enabler of everything the regime has done in violation of international law. If Trump strikes a “deal” with Kim Jong Un to get rid of the nuclear program, the concessions they would demand for such (if they even consider it) would be enormous (without even considering the cost of the meeting). As of present, the United States insist denuclearisation must come as an unconditional precedent for any talks with North Korea, but if Trump “strikes a deal” or even tries to (regardless of the outcome), then he has effectively granted a legitimation to something technically illegal. That empowers Pyongyang and dramatically changes the situation. Now regardless of the nuclear outcome and likewise, contrary to the hysteria on this subject, North Korea will not invade the South again, its policy having evolved in the 1980s to accept the existence of the other Korean system. But, the situation created by Trump’s dramatic inconsistencies and ill thought policies would unintentionally strengthen North Korea and dramatically weaken South Korea (considering the troop withdrawal), creating a new scenario which would allow Pyongyang to play everything to its own terms, easily taking advantage of the South and the U.S whilst giving little in the process; resulting in a consequential alienation of other American allies in the region, such as Japan. Although the removal of U.S troops and military exercises would make North Korea feel more secure, enhance moves towards reunification and end provocations, it could hardly be described as a reasonable outcome. Seoul could even be pushed towards other great powers for security, such as China, further weakening American influence in the region. But, the real bad news of Trump diplomacy, however, lies not just in the Korean peninsula and Asia but further afield to the whole world. Any recognition or legitimation of North Korea’s nuclear program will have catastrophic consequences for the international community as it will sound out loud the message that it is “fair game” for a regime to make nuclear weapons, defy the Non-proliferation treaty and force concessions from great powers into either recognizing it or blackmailing concessions towards getting rid of it. It makes international law conditional; it makes sanctions just a matter of “holding out” until the opposition gives in. This is without mentioning the human rights element, regardless of weapons. After all, few members of the international community are prepared to live with or tolerate the North Korean regime in its current form because it legitimates a kind of system and government considered increasingly immoral in the modern, “western” world. A trump visit could even resolve the nuclear issue, but it would come at the indirect price of ending the diplomatic, moral and normative isolation the U.S has imposed on the regime, as North Korea would demand recognition from the United States as an immediate condition. Liberal interventionists would argue this would be a hammer blow to the so called “moral” order they seek to build and yet again, the GOP would be seething. Thus, Donald could well be Pyongyang’s trump card, but such is the dilemma with North Korea regardless of who is President. They are a Machiavellian survival state, pushing as much as they can to intentionally resist the international order than to conform, making every situation as complicated and difficult as possible. One can never “win” against them and with each corner turned comes new dilemmas, new headaches and new frustrations. Nonetheless, one thing that is for certain and that is a Trump presidency would ruin America’s diplomatic standing, global soft power, kill off its faltering reputation and crash what is left of its international prestige, not just on this issue but on pretty much every single one. Even aside from North Korea, Trump would jeopardize the global order, stability and be the best present America’s enemies could ever wish for.